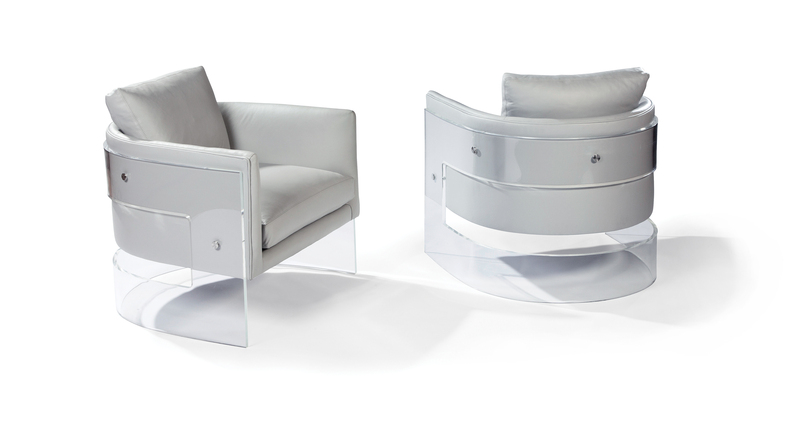 The iconic Bond chair, an acrylic and upholstered lounge chair originally conceived by Milo Baughman in 1969, is a modern classic. 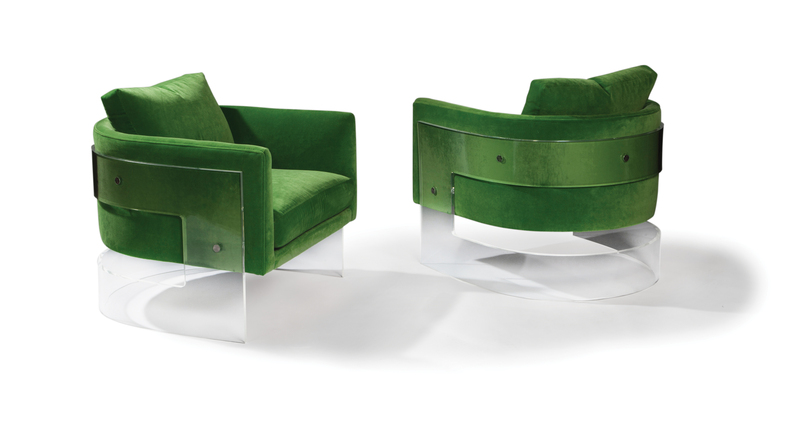 Bond showcases Baughman's masterful integration of diverse elements - upholstery, acrylic and metal accents - to create a work of art that is comfortable to sit in. 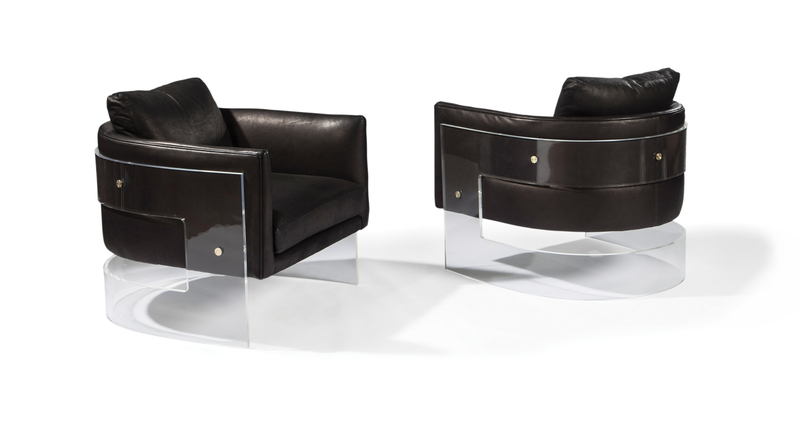 The Bond chair makes a statement of style and grace with masterful, midcentury modern design that is both timeless and luxurious. Choose from any of our in-house curated fabrics and leathers or provide COM. Decorative metal discs available in brushed stainless, brushed bronze and satin brass. Must specify. Base and sides are .75 in. thick clear acrylic. Decorative metal discs available in brushed stainless, brushed bronze and satin brass. Must specify.